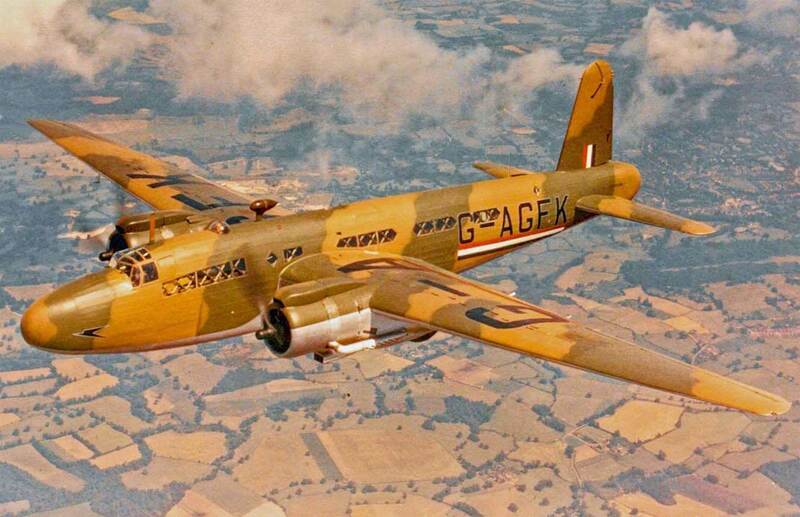 The Handley Page HP.80 Victor was the last of the three British V-bombers to enter service. Technically highly advanced for its time, it featured a crescent wing to allow the highest possible cruise mach number. Designed for high-altitude operation, at its introduction in 1956 its capability had already been overtaken by missiles and interceptors of the day. 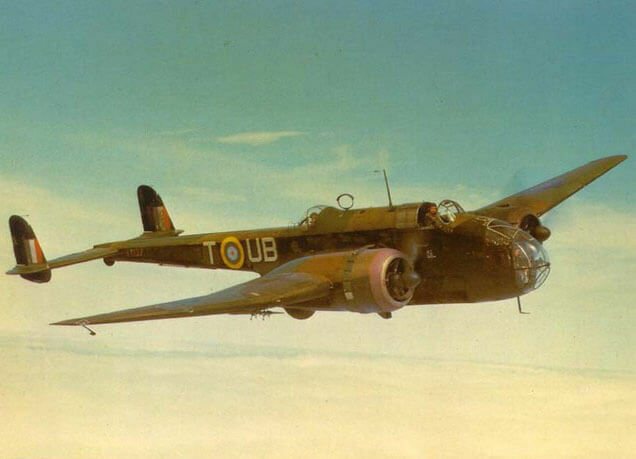 A second variant, the B.2 was introduced in 1959 which incorporated a larger wing, more powerful engines with larger inlets, and a heavier weight. 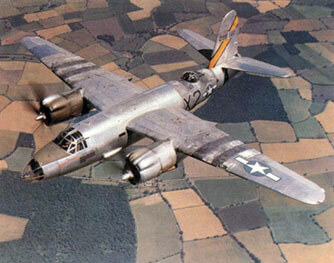 We offer two titles for this magnificent aircraft. 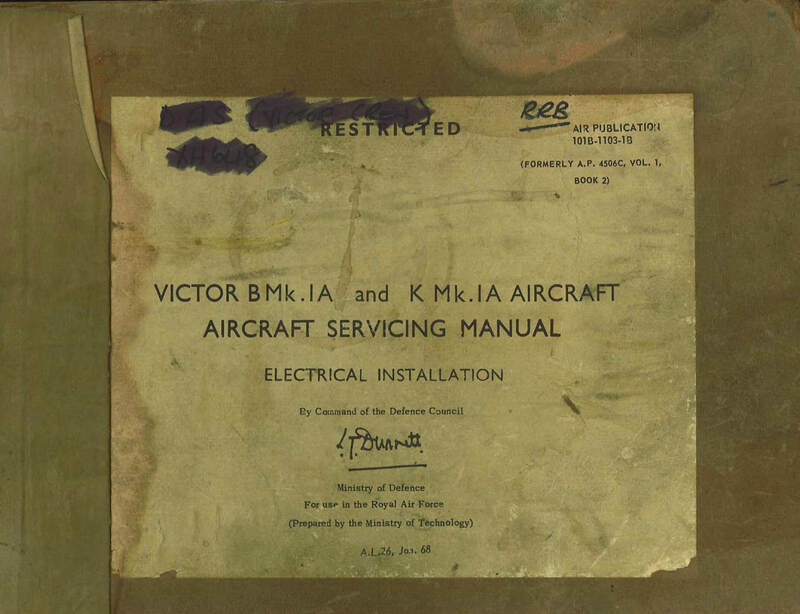 The first title contains the flight manuals for both variants of the crescent-winged Handley Page Victor British V-bomber, plus the performance data manual for the Mk.1. The second title contains the Servicing Manual for the Mk 1. The files have been scanned from the original flight manuals and retain any colour pages. Each title is US$9.95. 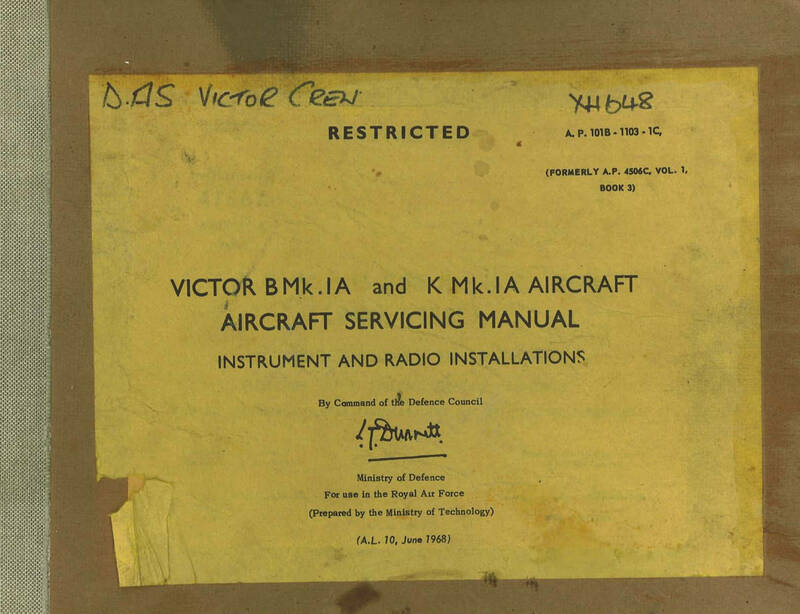 RAF Pilot’s Notes for the Victor B.Mk.1 and B.Mk.1A. AP 4506A-PN dated May 63, with approx 191 landscape pages. 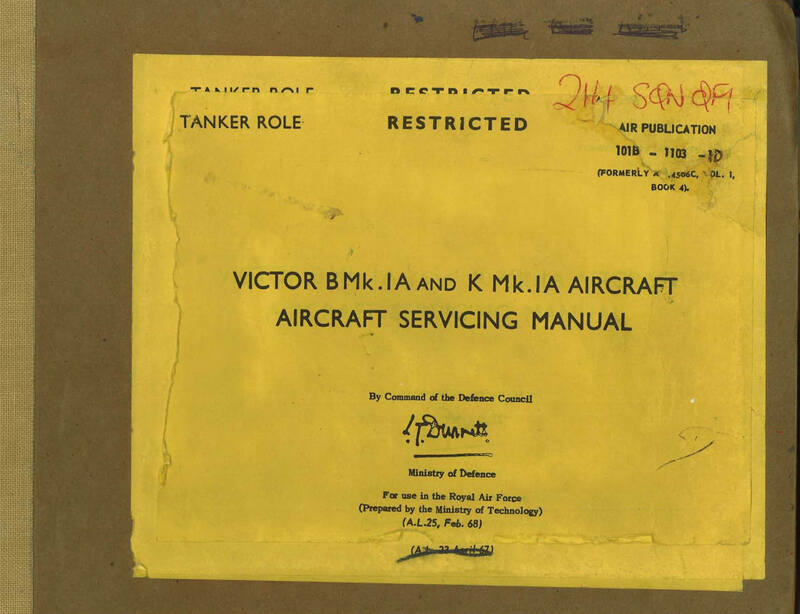 RAF Pilot’s Notes for the Victor B.Mk.2 (Blue Steel). Includes the Victor SR Mk.2. AP 4506B-PN dated Dec 64, with approx 196 landscape pages. 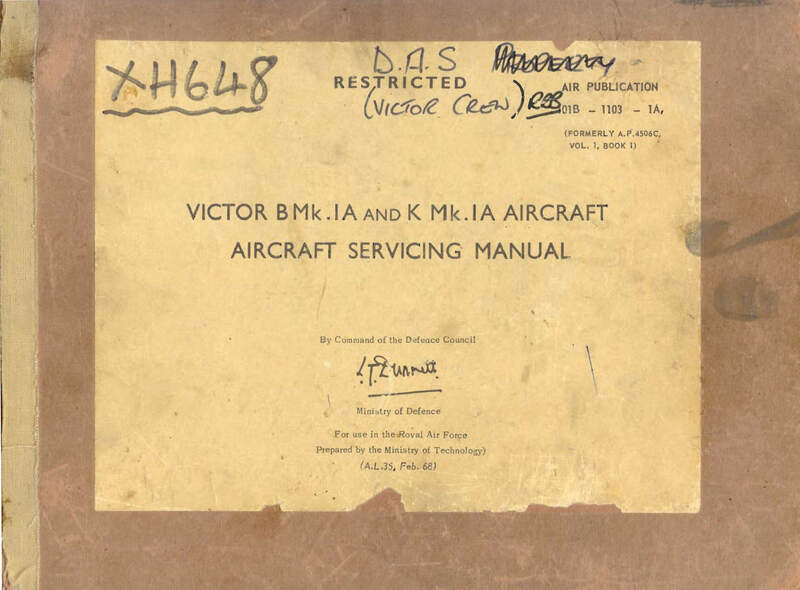 RAF Operating Data Manual for the Victor B.Mk.1 and 1A, AP 4506A and C-OD, with approx 126 landscape pages. AP 101B-1103-1A – Covers Chapters 1 to 4 ; Controls and Equipment; Ground handling; Airframe Installation; Power Plant Installations. With approx 859 pages. AP 101B-1103-1B – Covers Chapters 5 and 6; Electrical Installations; Instrument Installations. With approx 595 pages. AP 101B-1103-1C – Covers Chapters 7 and 8; Radio Installations; Armament Installations. With approx 304 pages. 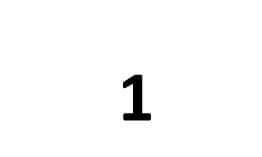 AP 101B-1103-1D – Tanker Role, Chapters 9 through 12. 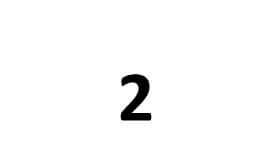 Airframe; Electrical; Instruments; Radio. With approx 430 pages.